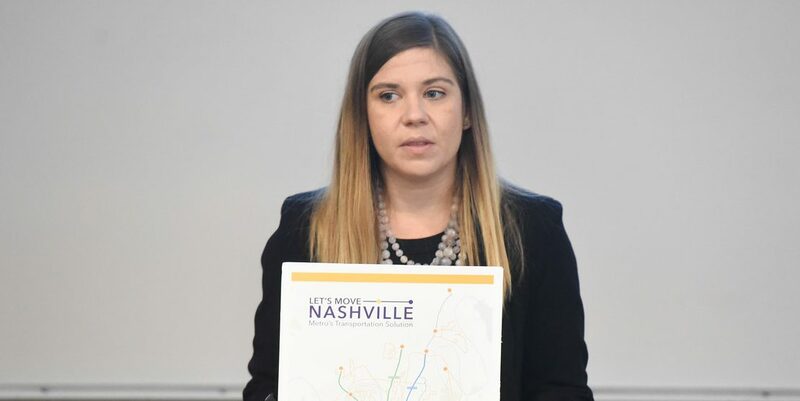 Emery Hartz of TransitNow, a local grassroots organization dedicated to promotion of a vibrant transportation system, discussed the implications of the proposed Nashville transit plan with Belmont students this week. Mayor Berry’s proposed plan includes 26 miles of new light-rail transit, an expanded busing service and a major underground tunnel below downtown, which would total a $5.2 billion project. The main revenue generator for this plan would be a one-half percent increase in Nashville’s sales tax, implemented in July 2018, which would increase again to one percent in five years. Mayor Berry has also proposed increases to the city’s hotel-motel, rental car and excise taxes. The $5.2 billion projection is expected to include expenses for free riders, such as those mentioned above, as well as construction of the project and system maintenance for the following 50 years. Since 2005, Belmont has offered free transportation to campus for students, faculty and staff thanks to a partnership with Nashville’s Metropolitan Transit Authority (MTA). Students, faculty and staff can ride MTA buses, the Relax & Ride commuter bus or the Music City Star rail system free of charge by swiping their BUID.